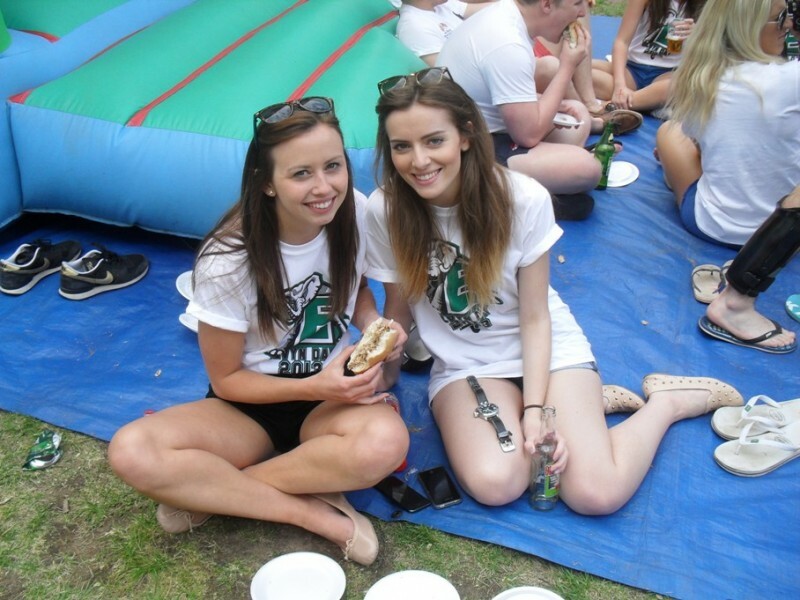 If you’re organising an event in Solihull, and you’re looking for a winning menu, then look no further than our delicious hog roast catering service. Whether you’re arranging a wedding at Hogarth’s, a birthday party at West Warwicksire Sports Club or a conference at Cranmore Park, our dining options are perfect for any occasion. 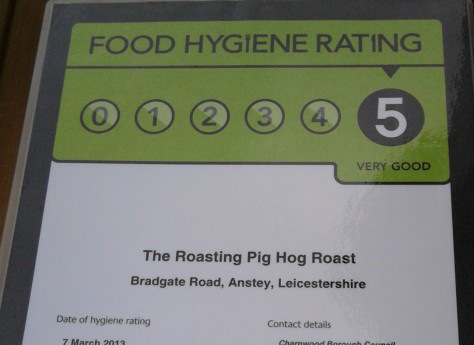 We’re ideally suited to provide hog roasts in Solihull and the surrounding areas of Birmingham, with a team of expert staff boasting a five star hygiene rating. Choose from a range of tempting set-menus including locally sourced pork, lamb, beef and rotisserie chicken, then compliment your main course with a choice of sauces – including our famous tangy apple sauce. Finally, round off your dish with seasonal vegetables, sage and onion stuffing, and freshly baked bread rolls. Be sure to let us know of any specific dietary needs, as our specially tailored buffets can cater to all tastes and requirements, including vegetarian and vegan. With our fully trained staff on hand for the duration of your event, you can be sure of a stress-free day, which leaves you to enjoy yourself and spend time with your guests. 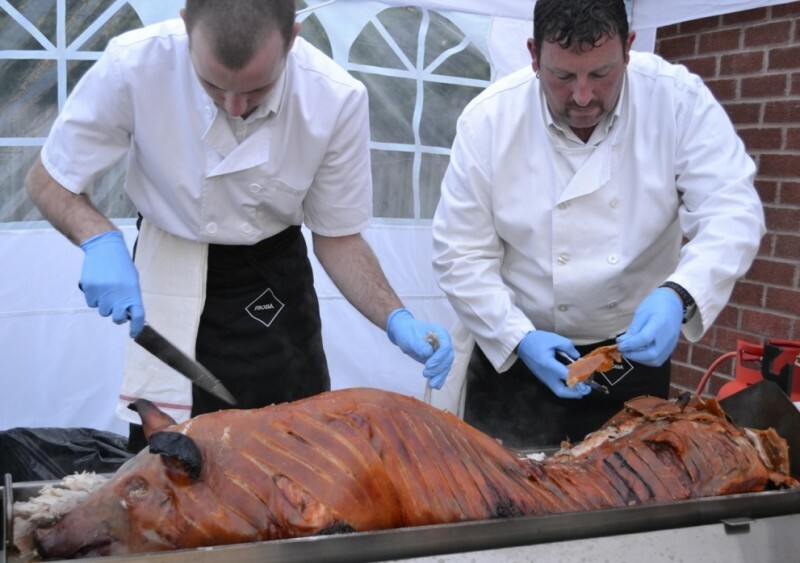 As well as our set menus, we can also arrange bespoke deals on your next hog roast in Solihull, offering fantastic value for money, and ensuring we can cater to budgets of all types. 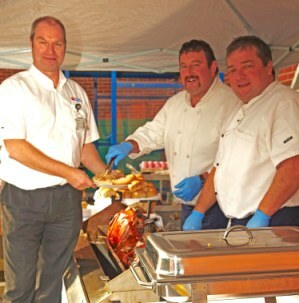 Take on the role of head chef for the day, thanks to our fantastic hog roast equipment hire service. All you need to do it let us know your venue, and we’ll both drop-off and collect the hog roast equipment for you. Our experienced team will also provide a full working demonstration on delivery, so you’ll be all clued up and ready to go once your guests arrive. Our full menu is at your disposal, so why not order a 50kg uncooked hog for delivery too, as well as your choice of favourite sides? Our friendly colleagues are ready to discuss your requirements, so be sure to get in touch via 0121 7690 258 today.